This Ornate pouch model card is decorated and embellished all over the card front and envelope with glorious printed gold ink damask patterns and beautiful white kundan stones. 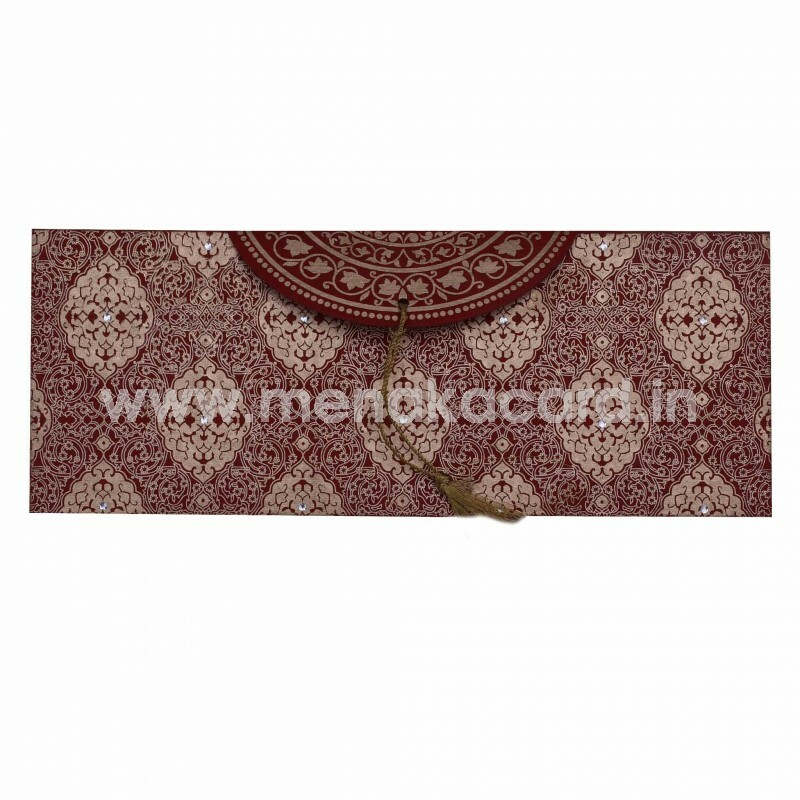 This card is made from a beautiful maroon hand-made board and has a semi-circular flap with gold filigree design on it that opens the card and holds it together. 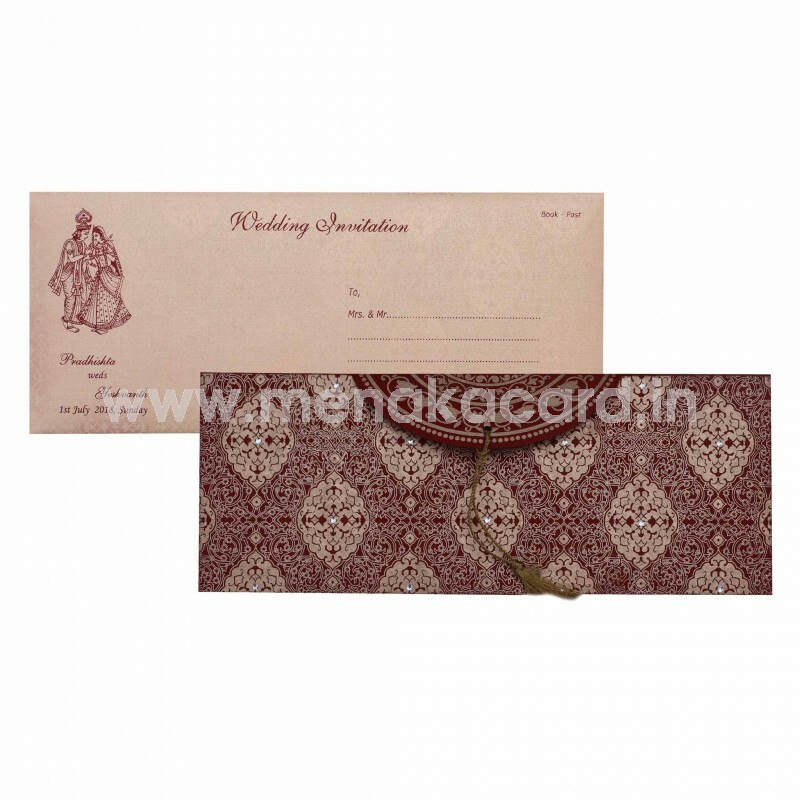 The inserts of this card are made from a cream shimmer board and replicate the damask pattern as a subtle background with the content printed in maroon. 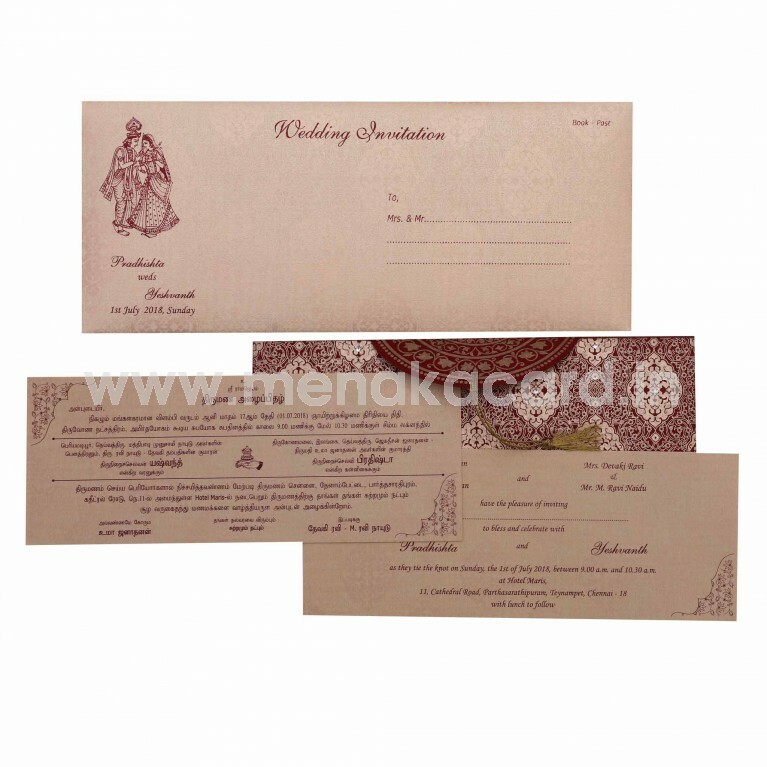 The envelope is made from the same material as the inserts and has the same designs on it. 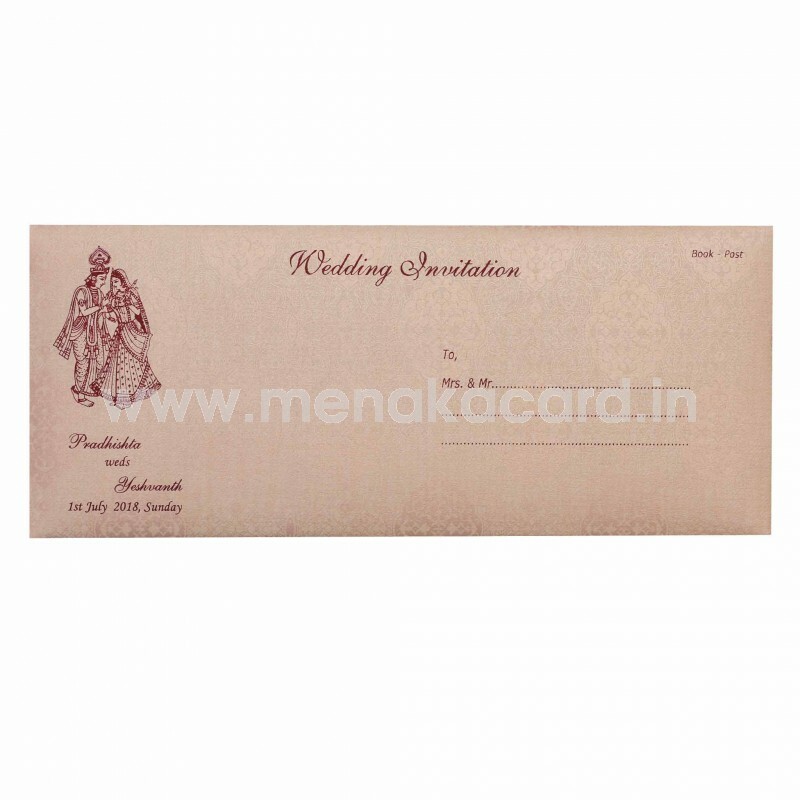 This card can be used for Hindu, Christian and Muslim weddings.